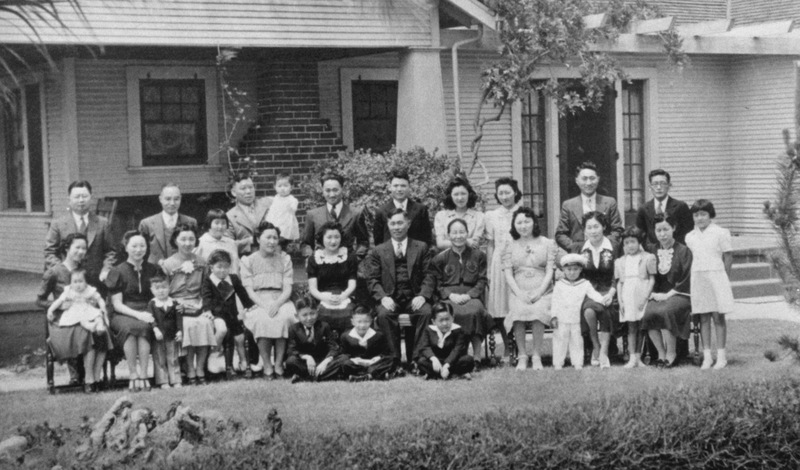 Top: A June 1941 family photo taken following the wedding of Yamada’s parents, Ted and Connie Yamada, in front of the Yamada family home in Florin, Calif. Below: Members of the extended Yamada family in the present day. Sage advice on the power of reunions and their ability to reconnect families and maintain legacies for generations to come. As young adults move to where their jobs take them, extended families may be less likely to stay in touch. For example, two of my second cousins met in college and, after talking, they realized they were related. We now use family reunions as a way to reconnect with family members, meet new members and inform younger generations of the legacy of our heritage. In planning our family reunions, I have used the following guidelines. Start Planning Early — Start a year ahead in picking a date and location. Everyone one is busy, so getting the reunion dates on family members’ calendars promotes increased participation. Also, forming a committee to share tasks and consult on reunion decisions is very helpful. 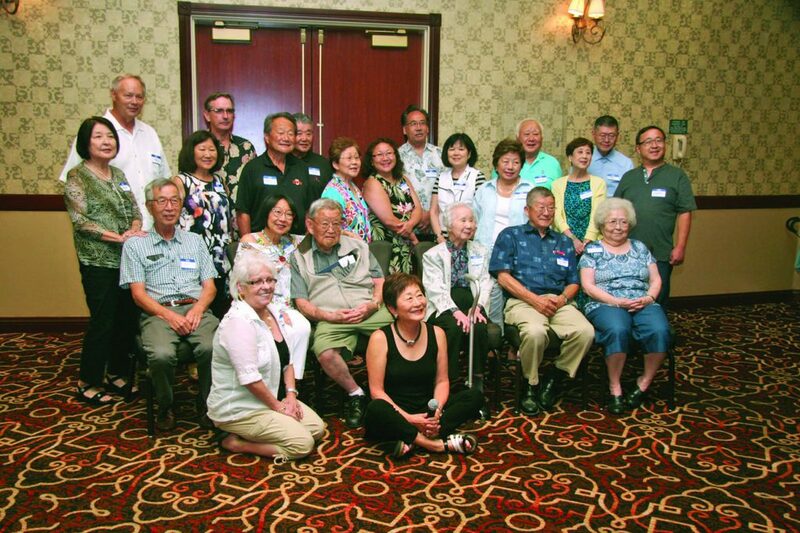 We had 75 members of our extended family ranging from age 100 to age 2 and representing four generations of the Kennosuke and Mikiyo Yamada family at our reunion this past summer. Use a Venue that Provides Its Own Entertainment — I have used Las Vegas and Reno as venues for our family reunions so that fewer group activities have to be planned. I prefer Reno because it is more compact. Downtown Reno casino hotels provide gambling entertainment for the adults, and overhead walkways give safe access to children’s games in the adjoining Circus Circus Hotel. Rent a Hotel Hospitality Suite for the Weekend — Our reunions have been scheduled from early Friday evening to Sunday noon. The hospitality suite enabled us to provide a pizza dinner on Friday evening and coffee and doughnuts on Saturday and Sunday mornings at low cost. More importantly, the hospitality suite provided a meeting place where family members visited and enjoyed snacks, drinks and wine generously provided by family members. Organize Some Group Activities — A golf tournament was arranged through the hotel. The hospitality suite provided an area for family activities. In the past, we had children’s games on Saturday mornings. My brother, artist Kenny Yamada, entertained the kids and adults by drawing requested Disney characters. In the evenings, a “pounce” card tournament or Indian poker game was held in the hospitality suite. These games can become loud and boisterous. Create a Reunion Logo — For each reunion, my brother, Kenny, created a different reunion logo, which he screened onto T-shirts. Giving out reunion T-shirts helped to bond family members together. This year’s logo was embroidered onto caps — one size fits all — to avoid the problem of estimating the sizes that would be needed for children and adult T-shirts. Share Family History — Developing an organized presentation about your family’s early history is a way to inform the younger generation about the hardships that our Issei grandparents faced in settling in America. Sharing old photos help to personalize relatives that have passed. This year, I researched and organized a presentation on the early life of each of my paternal grandparents in Japan, their coming to America and starting a family in the early 1900s. Both were born in Japan shortly after the end of the Edo Period. Both had hard childhoods. Grandfather Yamada’s mother died shortly after he was born, and his father left him to be raised by his father’s older brother. At age 17, he traveled to Hawaii to live for a year with his father and step-mother before moving to Florin, Calif.
Grandmother Yamada’s father died when she was 2 years old. Her maiden name was Asano, and her father was one of the last members of the Asano clan that ruled Aki Province until the feudal system was abolished. Her father’s family scroll traces her side of the family back to the year 645. She and her older sister were raised by their mother. My grandmother and her mother were tough, strong-willed and independent women. As a young adult, she went to Hawaii against her mother’s wishes. In Hawaii, she worked on a sugar plantation for a few years before moving to Florin, Calif.
My grandparents married in California and by 1914 were recognized as a successful farming family in Florin. They had nine children, seven of whom reached adulthood, married and had children of their own. All seven families participated in this past summer’s family reunion. I remember my grandfather as a tall, quiet and gentle man who died in 1950. My grandmother died in 1965. During the presentation, family members were able to add what they knew about the family history and ask questions. Include a Family Dinner — Having an organized group dinner is a must. At the dinner on Saturday evening, we celebrated our aunt’s 100th birthday year; recognized the service of our uncle, who served in the Military Intelligence Service during World War II; and awarded golfing prizes. We opted for a buffet dinner this year instead of a plated meal due to the age range and dietary preferences. At the end of the dinner, we had a raffle for door prizes. First cousins were asked to bring a door prize, and second cousins were invited to donate one. After dinner, we had a photo-op where we took a series of family and generational photos. Without question, organizing a family reunion is hard work. But, the reunion is always fun and is a rewarding way to stay in touch, reconnect with your extended family and remember your childhood memories. Planning has already started for the next Yamada family reunion!